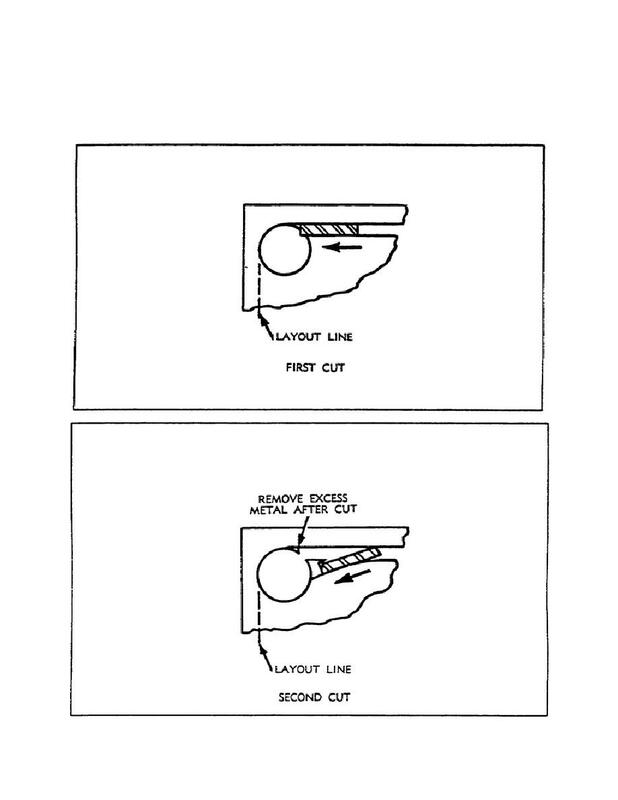 Home > Ordnance Documents and other related manuals > > Figure 22. Sawing Toward the Hole - First Cut. (b) Sawing Toward the Hole. the second is shown in figure 23. SAWING TOWARD THE HOLE - FIRST CUT. SAWING TOWARD THE HOLE - SECOND CUT.